Whenever I get the chance and the budget to think outside the box for a client, my creative juices get flowing. As a designer, clients with a healthy budget allow for creative splurges that would be considered cost prohibitive to most. But that doesn’t mean you can’t use a version of the idea to create a unique mailer or invite that goes beyond the traditional envelope. One of my favorite clients has a big 4th of July celebration each year at their ranch in Wyoming. Rather than send out a traditional A-7 sized, standard invite, I try to develop something a little more unique because their budget allows it. Over the years I have developed a variety of 3-dimensional mailers for the party’s VIP guest list. 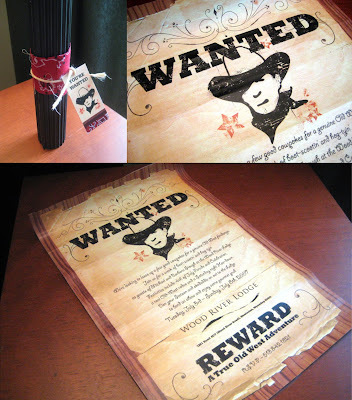 The first year I designed a “Wanted” Poster and sent it out in a tube mailer. 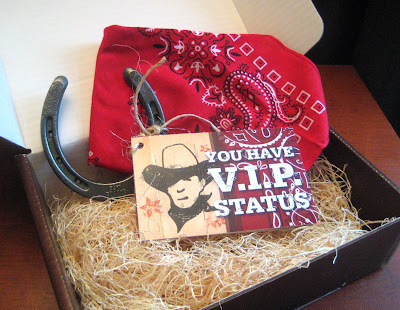 The next time around I sent out a chocolate brown box and tucked inside was a bandanna and the invitation tied to a steel horseshoe. I found the bandannas at a local craft store and the horseshoes at a local tack shop. Both items were very affordable. 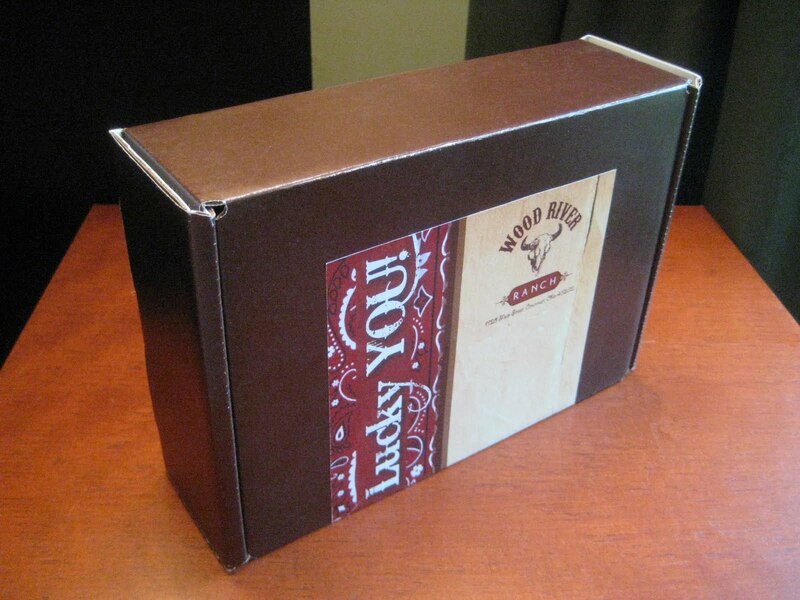 I designed an over-sized mailing label that also acted as a seal for the box. Mailer boxes like the ones I used can be used on a smaller scale and are ideal to give your invitation a little extra punch. 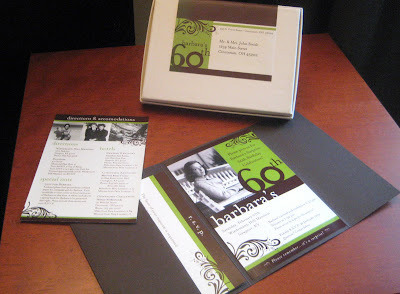 I recently designed an invitation for a 60th birthday celebration. The invitation was rather extensive, so I thought enclosing it in a mailer box was a nice finishing touch for the piece. 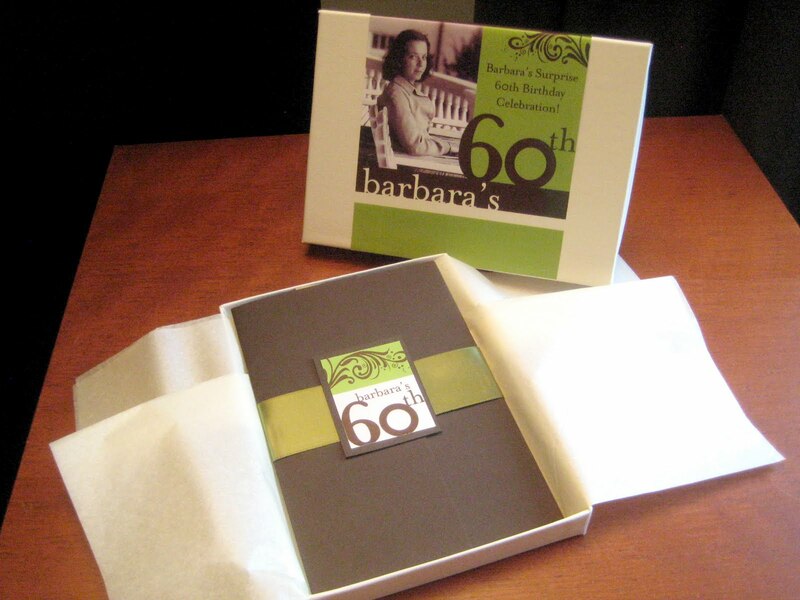 So the next time you have a special event that needs a fantastic invitation, consider thinking inside the box. So creative! Love the ranch invites.